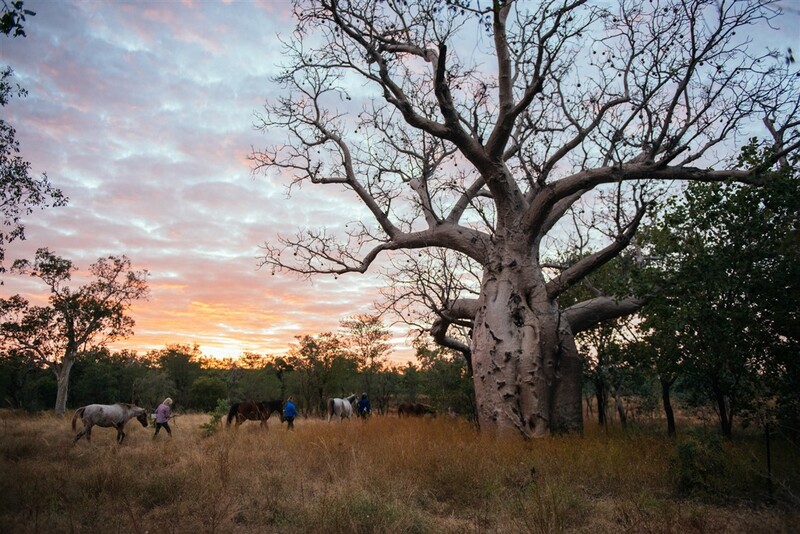 Ride and stay with the true cattle(wo)men of the Kimberleys in Western Australia who have been preserving the experience and history of the stockmen, the cattle musters and the pioneering years of one of Australia’s most beautiful regions. 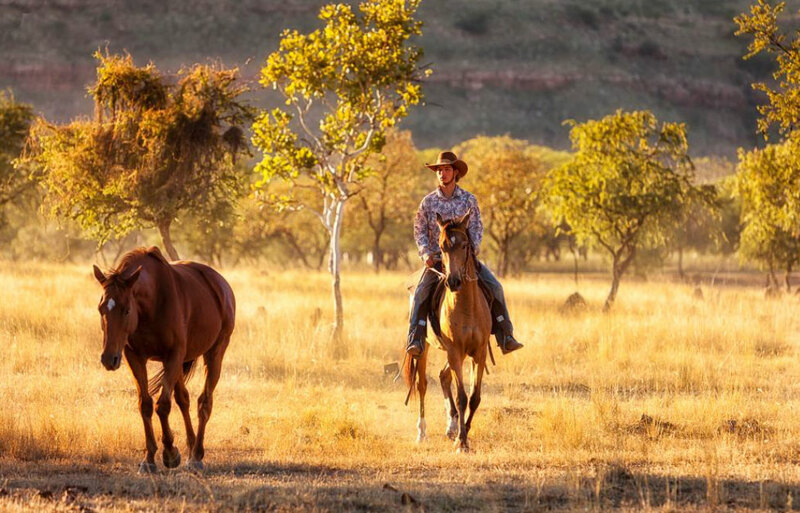 Guided by Alida Woodland who has called this beautiful place her home for more than 20 years, you will be riding on one of the most historic 20,000 acres large cattle stations, so plenty of time and room to immerse yourself in the Australian bush and experience the Kimberley by horseback, trekking the ancient river systems and old stock routes used by drovers of yesteryear. 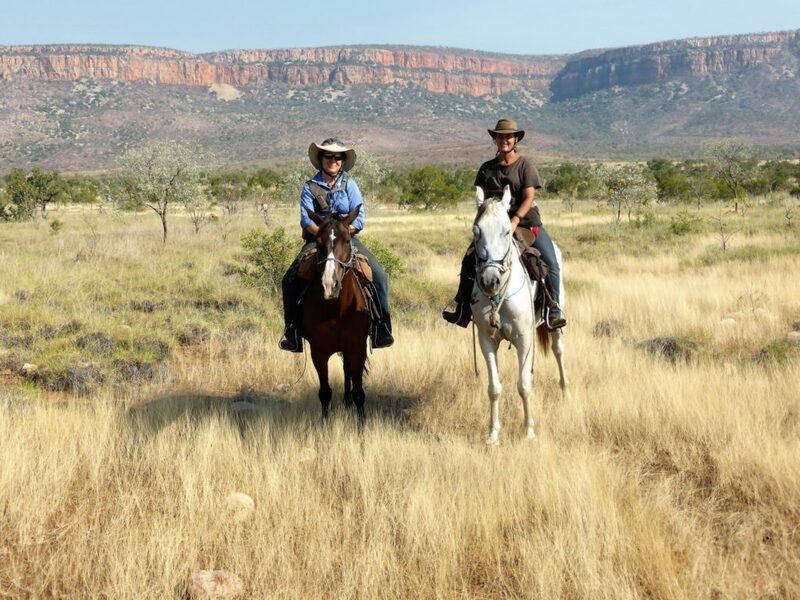 Ride through the extraordinary landscape of sandstone escarpments, waterholes, alluvial plains, and tidal rivers. 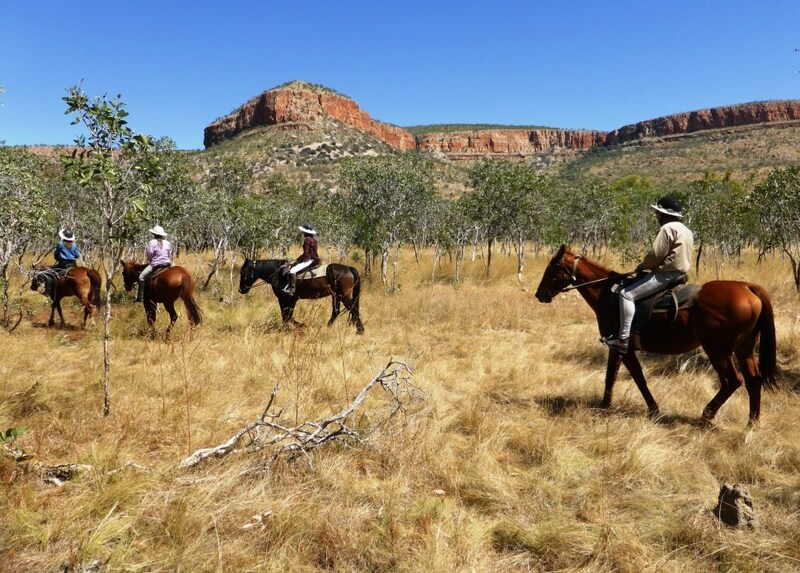 This tour takes us deep into the Kimberley bush, where you will spend six to seven hours a day in the saddle. Each day you will enjoy morning smoko (tea break), lunches at remote picturesque spots, and evening camp fires by billabongs. After a hearty dinner, your swag under the stars will be calling. After a warm welcome at Digger’s Rest Station, and a relaxing evening around our camp fire, you will enjoy a peaceful night in one of the station’s comfortable bush huts or bunkhouse rooms. Rising early with the sun on the Cockburn Ranges, we saddle up and begin our adventure by horseback. Riders saddle up and head out of Digger’s, passing boab trees, gilgais (small waterholes in open country), ti tree country and on to Duck Hole for mid day break. The afternoon ride takes us up Cockburn Creek to camp by a beautiful waterhole, with magnificent up close views of the Cockburn Ranges. A day for exploring, we head up Cockburn Creek towards the saddle between the North Cockburn and South Cockburn Ranges, keeping our eyes out for brumbies in this little valley. 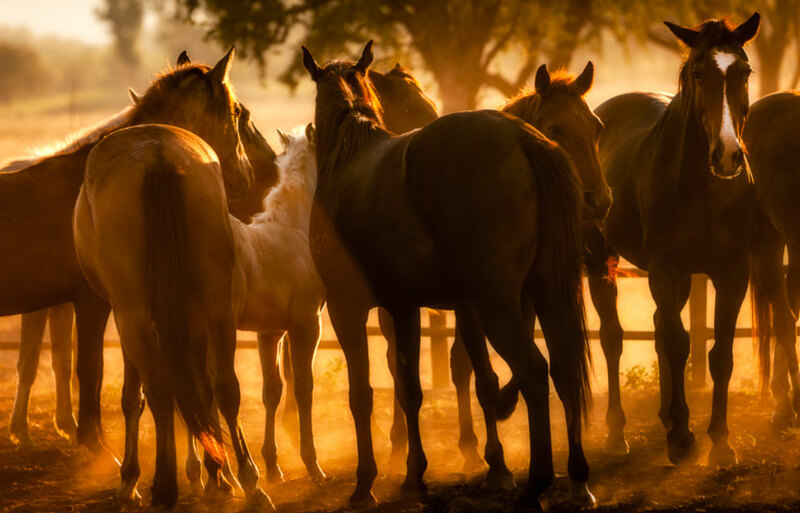 We return to our camp on Cockburn creek in time to wash and settle the horses, and enjoy the sunset. The Maze is our destination today, as we ride across open spinifex flats, across creeks and up into the mouth of an opening in the Cockburn Ranges. Our lunch camp is near a spring fed waterhole, perfect for a mid day dip. 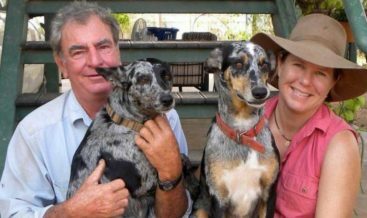 Pick-up and Transfer from and back to Kununurra Airport will be provided and is included in the trek price. Guests will be picked-up on the first day (before 3 pm) and dropped off in the morning of the last day of the adventure. Pick-up and Transfer from and back to Kununurra Airport will be provided and is included in the trek price. Guests will be picked-up on the first day (before 3 pm) and dropped off in the morning of the last day of the adventure.